The widespread use of animated GIF images is one of the many things we have to be thankful for in the 21st Century. I’m constantly saving GIFs to my phone or laptop in order to send as reactions or to express something that words just can’t quite capture. 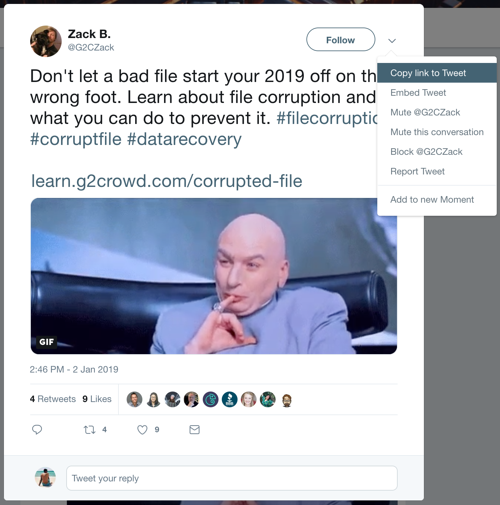 Most of the time, I save GIFs from Twitter; however, you may have noticed already the platform makes it incredibly difficult to download these files to your device. This is because to make tweets load faster, Twitter converts GIFs to video files. 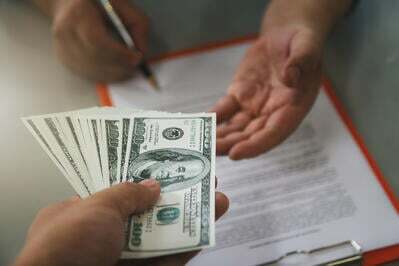 While this may make their website and app run faster, it really complicates the saving process. 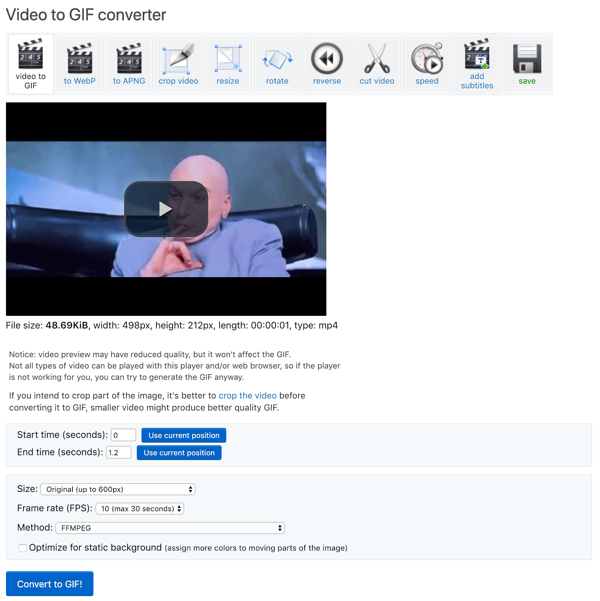 Any GIF you want to save will technically be saved as a video file and have to be converted back to GIF format. 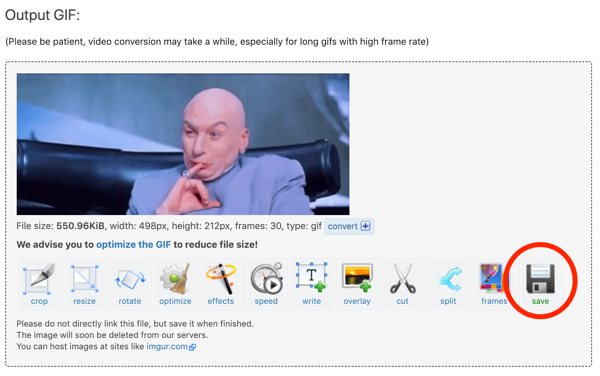 In this article, I’ll cover a method of downloading GIFs for both mobile and desktop. Feel free to jump ahead to whichever suits you best. As mentioned above, Twitter unfortunately makes this more complicated than other platforms because it converts GIF files to MP4 video files. In order to save or download what you want, you’ll need to use a converter and downloader service. Currently, EZGIF is the only reliably functioning Twitter GIF downloader in operation. Using this link, you will need to copy a link to the tweet and paste it into the converter. Adjust the settings to best suit the GIF you would like to download and have it for your device. 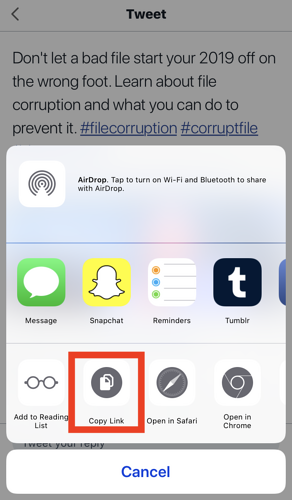 To save a GIF from the Twitter app, you will first need to select the share button under the original tweet. This will bring up three options. Select the third of these which is “Share Tweet via…” Finally, select the “Copy link” option. Once you have the link successfully copied, open your preferred browser and visit EZGIF. 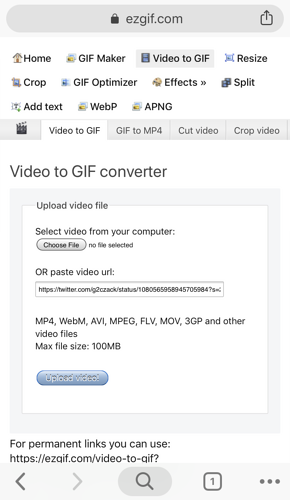 Make sure you are on the video to GIF converter and paste the copied URL into the specified box. After selecting “Upload video!” you are shown a preview of the clip and a few options. I recommend bumping the frame rate (FPS) up to the maximum of 25 fps in order to have the smoothest conversion possible. 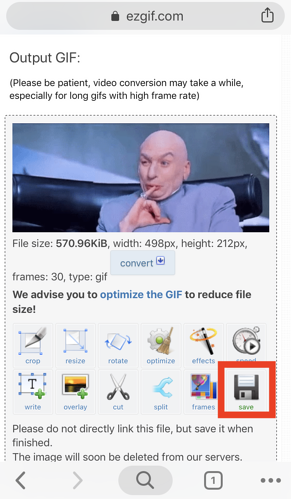 Following this, select “Convert to GIF!” After converting, you’ll see the GIF file you just made. Select save and it will quickly show up in your camera roll. 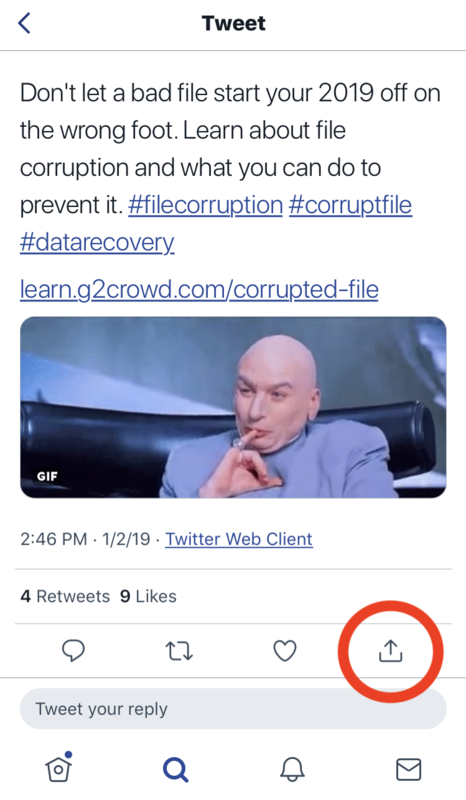 To save a GIF from the Twitter website, you will first select the drop-down arrow of the tweet containing the GIF file you would like to save. 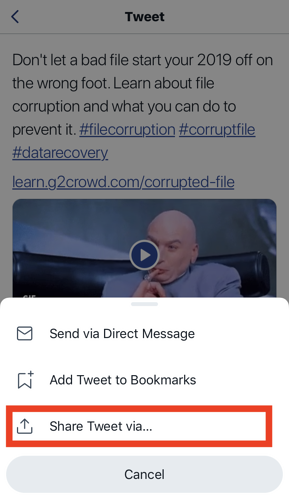 Select “Copy link to Tweet” which will save the unique URL of that tweet into your clipboard. Tip: This URL can also be copied directly from your browser's search bar. 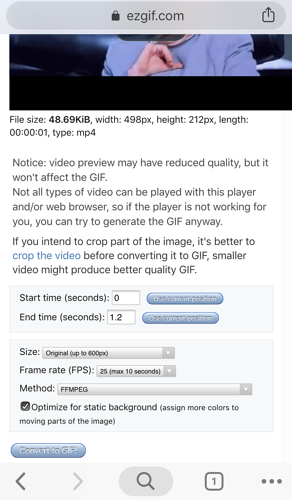 After copying this link, head to EZGIF.com and make sure you’re on the “Video to GIF” tab. 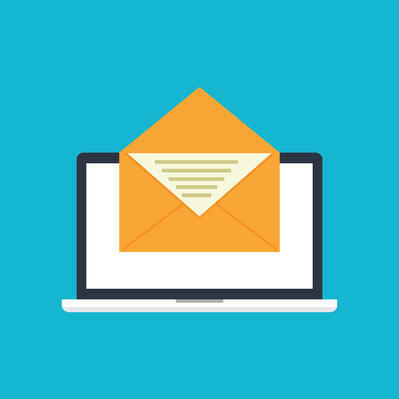 Paste the URL into the specified box and select the upload video button. After uploading, the converter will offer you a few options before you are able to download. I recommend changing the frame rate (FPS) all the way up to the maximum of 25 fps. 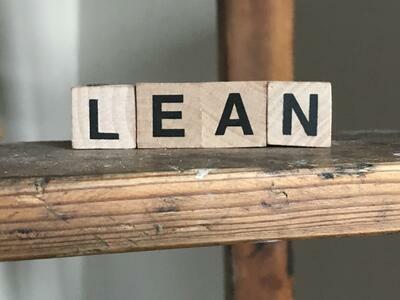 This will make your GIF smoother than it would be otherwise. Select convert to GIF and your GIF file will show up below, ready to be downloaded to your computer. From here, simply select the Save button, drag and drop it to a folder, or right click and select “Save Image As...” to have it all to yourself. Now that you have your GIFs downloaded, you can use them for all sorts of purposes. 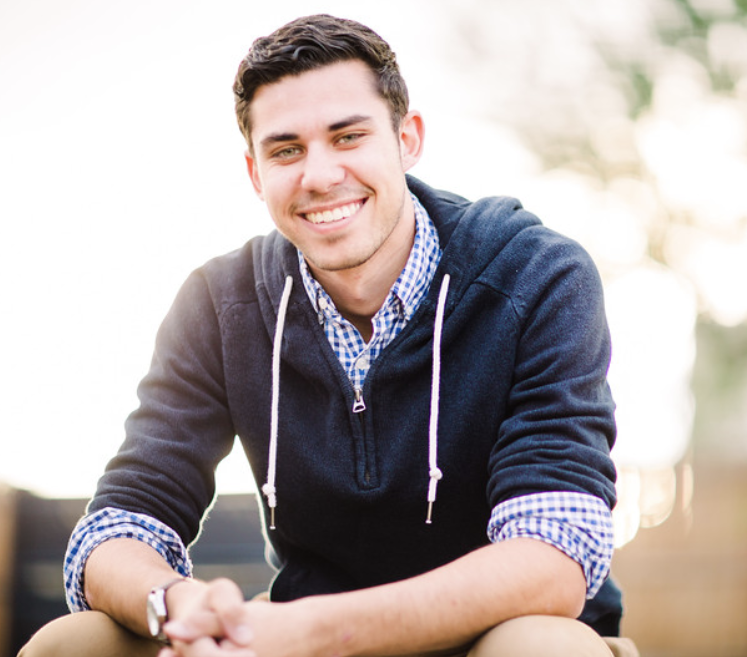 Send them in text messages, post in your group chats, or even upload them into a tweet of your own. When words just won’t do, sending GIFs is a great option.